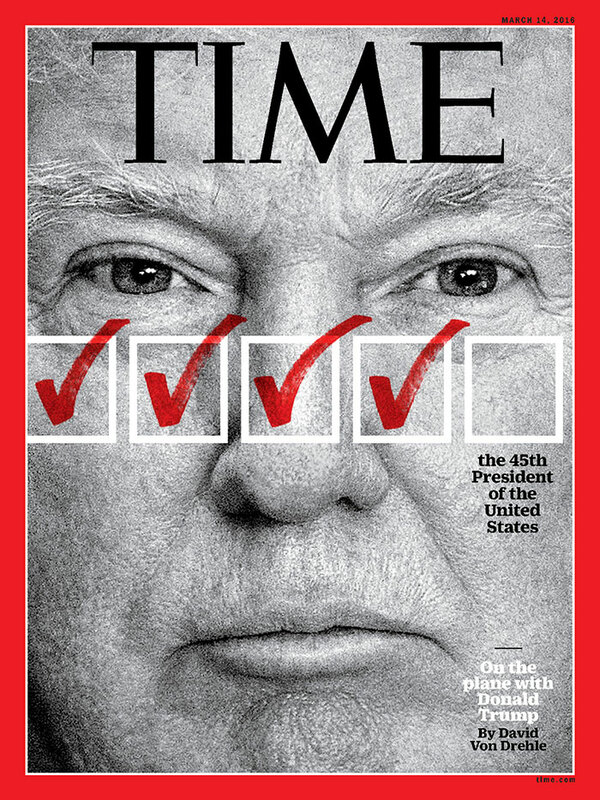 In wake of his Super Tuesday victories, Donald Trump appears on the cover of the March 14 issue of TIME along with labels selected by TIME’s editors to crystallize some of the more unusual aspects of his candidacy. We debated which words most suited Trump (“bully,” “showman,” “party crasher,” and “demagogue”) and now we’d like to give you a chance to to choose the words that you think best capture the Republican frontrunner and his influence on the 2016 election. Place your words on the cover below and share your version. You can read the cover story here in which TIME’s David Von Drehle chronicles his travels aboard Trump force one as the candidate describes his battle plan against Hillary Clinton.